Robert was born in Commack, NY in 1967. As a child, Robert played soccer, lacrosse, basketball, and ran on the track team. In High school, he was a member of National Honor Society and graduated 12th out of a class of 500. Robert attended Franklin & Marshall College in rural Lancaster, PA. There, he was a member of Kappa Sigma Fraternity where he chaired the Committee on Charity and Community Services. As Chairman, he initiated and organized an annual benefit for victims of domestic violence and coordinated an annual campus-wide blood drive in conjunction with the American Red Cross. Robert was one of only 10 students from a matriculating group of 150 to graduate from the college’s pre-med program. After college, Robert had his choice of medical schools and moved to Manhattan, New York to attend New York University School of Medicine where he learned the art of medicine at Bellevue Hospital and the Manhattan Veterans Administration Hospital. From there, Robert moved west to intern at the University of California, San Francisco and then moved down the peninsula to Stanford University where he completed his residency in internal medicine. For the next four years, Major Robert Fliegler served his country in the United States Air Force supporting Operation New Horizon in Guyana; Operation Desert Thunder in Al-Jaber, Kuwait and Joint Task Force Bravo in Honduras. 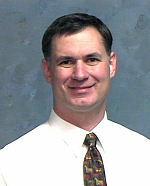 At Holloman Air Force Base in Alamogordo, NM Major Fliegler distinguished himself as the Medical Chief of Staff, the Internal Medicine Department Director, the Director of the Allergy and Immunology Clinic and as the Program Director for both the Persian Gulf Illness program and the Agent Orange Illness Program. Robert moved to Carson City in the summer of 2000 with his family and is the proud father of 5 children—a son and 4 daughters. He originated Carson City Hospitalists and has now originated the first Concierge medical practice in Carson City.